There comes a time when our desktop becomes dull and uninteresting to see. As a result, it may give us a feeling of boredom when we are working at our computers or laptops. Good thing there are icons that can be readily customized and turned into a cool visual depending in our personal preferences. Consider giving your desktop a cool revamp with these cute icons we have instored for your desktop. Today we have gathered Free Monster icons which are designed with funny characteristics that will put some life and fun to your desktops. Check them all out below and grab whatever suits your taste. I’m positive that they will look good in your desktops. So come, take a peek, and choose your pick. This is a set of icons which includes 12 various icons for personal use. This set includes 26 icons of a purple monster in different emoticons. For personal use only. This set includes 12 icons of various monsters for personal use. This set includes 9 icons of cute monsters in different sizes for personal and commercial use with appropriate credit to the creator. This set includes 5 icons of monsters for personal use. This set includes 8 PNG icons of monsters for personal use. This set includes 11 icons of various monsters for personal use. This set includes 12 icons of monster in various colors for personal use. This set includes 8 icons of monsters in various baskets for personal use. 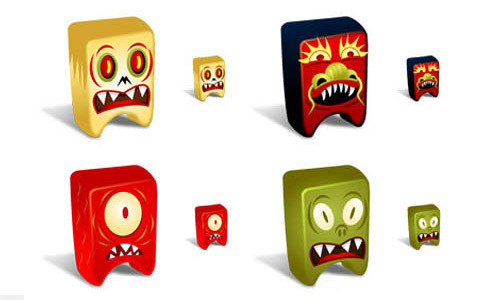 This set includes 4 square monster icons for personal use. This set includes 6 icons of a one-eyed monster in various poses for personal use. This set includes 4 icons of furry monster in various colors for personal and commercial use (backlink to the creator required). This set includes 8 icons of various funny monsters for personal use. This set includes 7 icons of various funny monsters for personal use.